One of the most compelling legal dramas to have graced the screen, 12 Angry Men is a dazzling display of bravado acting and intellectual directing. Taking place almost entirely in a single room, the film is a feast of intelligent discourse and a mesmerizing study of interaction among strangers given the responsibility of life and death. At the end of a murder trial in New York City, 12 jurors, all men, retire to reach a verdict. The defendant is an 18 year old scrawny youth from the wrong side of town, accused of stabbing his father to death. Most of the evidence seems to point to his guilt, and several witnesses testified to having seen or heard the boy commit the murder. A guilty verdict carries an automatic death sentence. In the cramped and hot jury room, Juror 1, the foreman (Martin Balsam), tries to organize the jury, and most of the jurors appear eager to quickly confirm a guilty verdict and get on with their lives. 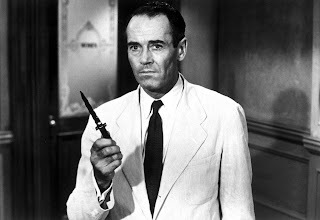 But Juror 8 (Henry Fonda) is the sole hold out. He believes that the defence lawyer was poor, leaving many questions unanswered, and he demands that the jury members fulfil their duty by delving into the various aspects of the case in more detail to examine whether or not there is reasonable doubt. The delay in reaching a unanimous verdict infuriates several of the men: Juror 7 (Jack Warden) is a sports fan and anxious to attend the evening's baseball game. Juror 3 (Lee J. Cobb) is a short-tempered loud-mouth, on bad terms with his son, and he quickly explodes when anyone disagrees with him. Juror 12 (Robert Webber) is an often distracted marketing executive more interested in talking business than focusing on the discussion at hand. And Juror 10 (Ed Begley) is another overbearing bigot. As the suffocating afternoon turns to a rain-drenched evening, the men talk, argue, and deliberate. Gradually, and painfully, some opinions begin to change. Making his directorial debut, Sidney Lumet immediately makes an impression. 12 Angry Men has one set, and all of the film's dynamism is derived from Lumet's fluid work. His cameras stalk the jurors, rotate around them, take their point of view, or move up close and in their face, in an impressive display of drawing energy from the heat of conversation. The crisp black and white photography, courtesy of Boris Kaufman, enhances a film that is all about distinguishing black from white, and exploring the grey areas in-between. Most of the men remove their jackets to reveal white shirts and black ties, standing out against the nondescript grey walls of the jury room. As a study of diverse personalities, 12 Angry Men is a masterpiece. The men represent a mosaic of the white men who made up American society of the day, from professionals to ordinary Joes, from the middle-aged to the elderly, from bigots to immigrants, and from the relatively rich to the relatively poor. The film becomes an examination of the jury's motivation as much as it is a legal drama, the true colours of each juror sequentially emerging as the group delves into the difficult evidence of the case. 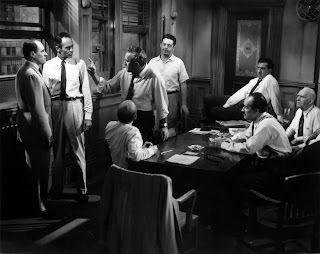 Written by Reginald Rose, who also co-produced with Fonda, 12 Angry Men is packed with leadership lessons, and not always obvious ones. Juror 8 demonstrates remarkable strength to calmly stick to his convictions in the face of eleven other men holding a contrary opinion, and then extraordinary stamina to embark on a quest to engage the other men in a detailed debate about the facts of the case. But the jurors who change their opinions early to align with Juror 8 also lead by not being afraid to show that they may have initially been wrong and hasty in jumping to a guilty verdict. And in strong demonstrations of courage, several of the jurors jump to the defence of colleagues, regardless of differences of opinion, when the obnoxious Jurors 3 and 10 engage in bullying and insulting behaviour. The performances from the stalwart cast are uniformly excellent, with Fonda and Cobb leading the way. Fonda gives Juror 8 self-belief combined with steely eyed determination. 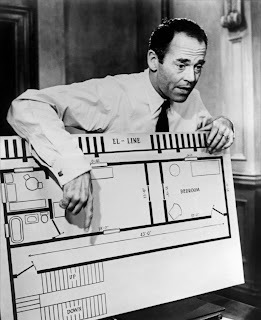 Fonda's screen persona as the man who knows right from wrong is perfectly suited to Juror 8, and here he takes on the challenge of sparring with eleven other well-meaning but possibly misguided men with patience, vigour and just that hint of an edge when needed. Cobb plays the perfect nemesis, Juror 3 being everything that Juror 8 is not. Calm only on the surface, Cobb masters Juror 3's oscillation between rational and eruptive, revealing a man tortured by repressed inner demons, and the toughest holdout on the path to group reconciliation. Of the others, Jack Warden makes a strong statement with a nonchalant attitude. For Juror 7 the world revolves around sports, and Warden is fascinatingly slippery as a man who struggles to pretend that he has principles, but who genuinely could not care less what the verdict is as long as it gets him to the ball park on time. As the mood in the room evolves, the light, the heat and the weather also change. 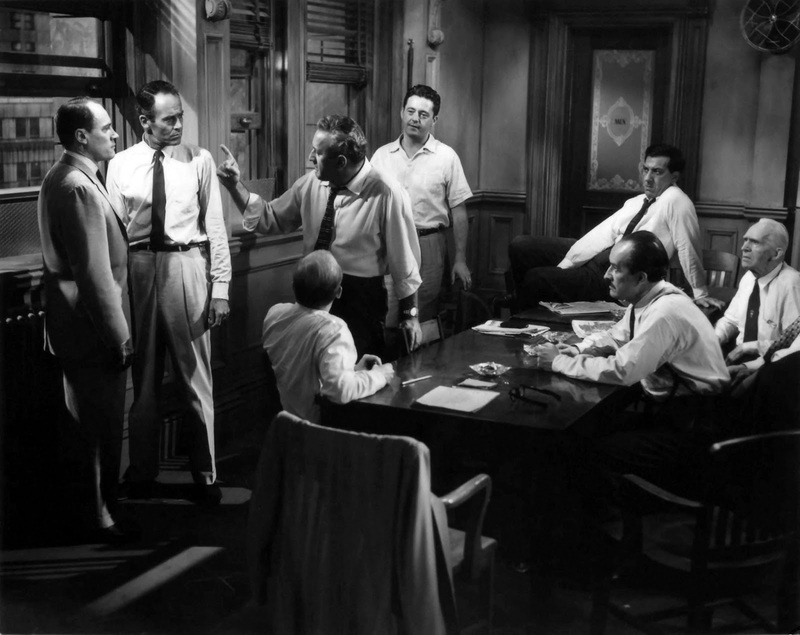 12 Angry Men can be a transformational force, especially when channelled in the right direction.